“Why do writers write? What influences their work? Where do they find inspiration? ” Some of the United Kingdom’s most celebrated writers answer these questions and more for the National Life Stories’ Authors’ Lives project archived at the British Library. 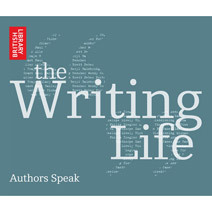 You can read and listen to excerpts at the Guardian (both here and here), or purchase the complete CD of The Writing Life from the British Library Shop online.